Diplomas are available approximately four months after the degree conferral date. Summer and fall graduates receive their diplomas before commencement through pick up from the Houston campus or by mail. Spring graduates will receive their diplomas in the fall. Diploma Frames: UTHealth School of Public Health diploma frames are available through USA Diploma Frames. Shipping is free for orders made online or at the ceremony. Select the "Single Horizontal Document" layout. Our diplomas, like most, are landscape oriented. No need to enter the diploma size, our diploma size is on file with the vendor. If you choose embossing, the UTHealth School of Public Health logo will be placed at the bottom center of the matting. Enter promotional code UTH to receive 20% off of your order. Diploma Size: Diplomas are 12" x 16" in size. If you order from another vendor, make sure you indicate the diploma's dimensions. Lost Diplomas: If you lose your diploma or wish to order a duplicate, submit a request for a duplicate diploma with the Office of the Registrar or contact them at registrar@uth.tmc.edu or 713-500-3361. Name Changes: Alumni who need a name change on their diploma must submit a name change request form, and contact the Office of the Registrar at registrar@uth.tmc.edu or 713-500-3361 to request a reprint. After the Office of the Registrar processes graduation, graduates' student myUTH account access will become limited. To regain access through an alumni myUTH account for transcript requests and more, graduates should visit https://alumni.uth.tmc.edu/ to create an account. Note: Alumni should update their preferred/primary email address when accessing the account. For further assistance, contact the Office of the Registrar at registrar@uth.tmc.edu or 713-500-3361. After graduation is processed by the Office of the Registrar, final official transcripts will be available immediately and online degree verification will be available through the National Student Clearinghouse within three weeks. 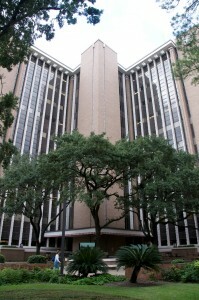 The Office of the Registrar is the official manager of records and verifier of enrollment and degrees for UTHealth. Therefore, any requests for confirmation of a student’s or alumni’s academic standing should be submitted to their office. International students who need assistance obtaining a work visa should contact the Office of International Affairs at utoiahouston@uth.tmc.edu. Graduates with holds that bar degree verification will not receive any type of degree verification from the Office of the Registrar, nor the diploma when it is available. After graduation, access to university systems will be limited or disabled. View post-graduation systems access statuses below.